KAPALUA, MAUI, HI -- (Marketwired) -- 03/19/14 -- Situated within a pristine 22,000-acre natural paradise and marine sanctuary, The Ritz-Carlton, Kapalua is sure to inspire the ultimate spring break getaway. "Nothing is more beautiful than Maui in the Spring," says Jay Heidenreich, Director of Sales & Marketing for The Ritz-Carlton, Kapalua. 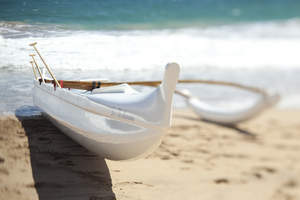 "And the abundance of activities from land to sea here in Kapalua is the perfect setting for an unforgettable Spring vacation." Guests reserving the Island Adventure Luxury room package will enjoy a $1,000 hotel credit to be used towards experiences at The Ritz-Carlton Spa®, Kapalua, activities through Jean-Michel Cousteau's Ambassadors of the Environment, hotel retail purchases and meals at the hotel's dining venues. Golf enthusiasts will enjoy this recreational playground that has been recognized as one of the top golf destinations in the world, with two ocean view golf courses that are as fun and challenging as they are breathtaking. Having annually hosted the PGA TOUR's season-opening tournament for the last 15 years, golfers have the opportunity to play in the footsteps of the sport's legends. Guests of this destination paradise will also enjoy preferred rates and tee times as benefit of staying with The Ritz-Carlton, Kapalua. The hotel also offers the Golf in Paradise room package featuring two rounds of golf at the Bay or Plantation Course and daily buffet breakfast for two at The Terrace. Perfect for traveling families, Residential Suites at our luxury Hawaii beach resort feature partial kitchens, marble bathrooms with separate showers and deep soaking tubs, flat-screen plasma televisions, spacious living rooms and private lanais (balconies). Steeped in traditional Hawaiian culture, kitchens in each Residential Suite unit feature a handsome gathering Calabash table, named after the traditional wooden bowls for storing poi, where families can come together and forge new traditions and memories. Private kitchens also include a microwave, refrigerator, freezer and dishwasher. Reserve your spring break getaway at www.ritzcarlton.com/KapaluaMaui, contact your travel professional or call toll-free for reservations at 800-241-3333. The AAA Five-Diamond Ritz-Carlton, Kapalua showcases a stunning destination resort offering 463 guestrooms, including 107 residential hotel suites, boasting warm-hued wood floors, rich travertine bathrooms, flat-screen LCD televisions and Hawaiian-inspired artwork. The Waihua Spa at The Ritz-Carlton, Kapalua beckons with treatment rooms framed by private garden showers, volcanic stone grottos, steam, sauna and whirlpool therapies, outdoor couple's hale (cabanas) and a fitness center and movement studio with spectacular ocean views. Jean-Michel Cousteau's Ambassadors of the Environment program offers all interest levels an array of outdoor activities from land to sea, led by trained naturalists. The breathtaking island resort also features five Maui restaurants, enhanced indoor/outdoor meeting space, an inviting children's pool and luxury cabanas. The Ritz-Carlton, Kapalua is nestled on 54 acres and enveloped by the 23,000 acre Kapalua Resort, renowned for two championship golf courses, award-winning restaurants and an historic pineapple plantation. The Ritz-Carlton Hotel Company, L.L.C. of Chevy Chase, Md., currently operates 85 hotels in the Americas, Europe, Asia, the Middle East, Africa, and the Caribbean. More than 30 hotel and residential projects are under development around the globe. The Ritz-Carlton is the only service company to have twice earned the prestigious Malcolm Baldrige National Quality Award, an award that originated in 1987. Its purpose is to promote the awareness of quality excellence, recognize quality achievements of companies and publicize successful quality strategies. The Ritz-Carlton Hotel Company won the award in 1992 and 1999. For more information, or reservations, contact a travel professional, call toll free in the U.S. 1-800-241-3333, or visit the company website at www.ritzcarlton.com. The Ritz-Carlton Hotel Company, L.L.C. is a wholly owned subsidiary of Marriott International, Inc. (NYSE: MAR).